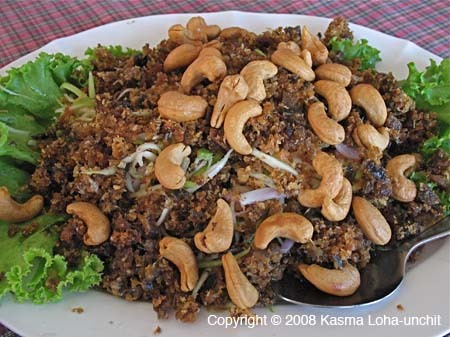 Hot & Sour Catfish Salad: Hot & Sour Salad of Crisped Catfish Flakes, Cashews and Sour Green Mango (Yum Bplah Doog Foo). Kasma teaches this dish in Advanced Series Set C (class 2). It is awesome.